The principle is simple and seductively clever: solar lights that store energy during the day and release light at night. These can be purchased ready-made in a variety of colors (yellow, blue and red), but it’s also easy to make your own DIY sun jar at home. 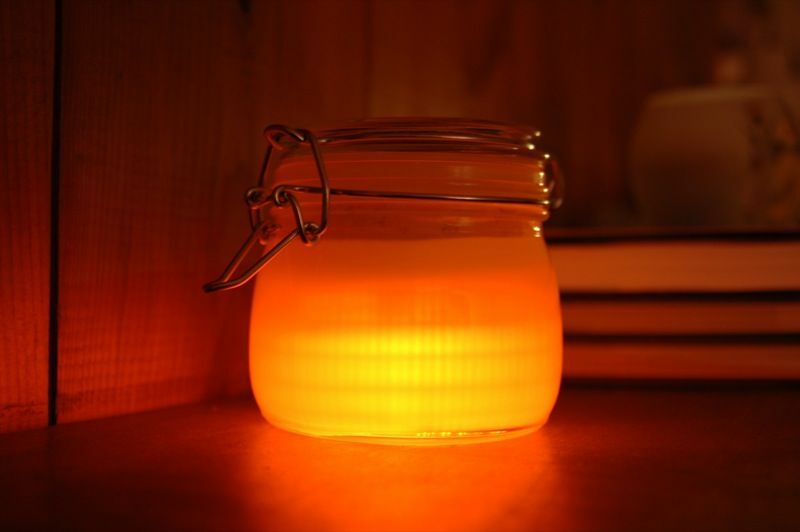 The simplest, least technical approach involves buying a conventional solar-powered yard lamp and then essentially harvesting it for key pieces to put in a jar. This is just a clever way of taking an existing solar lamp design and appropriating its essential parts to make something more attractive for display around the house, to take on camping trips or even to use as wedding or other event decor. 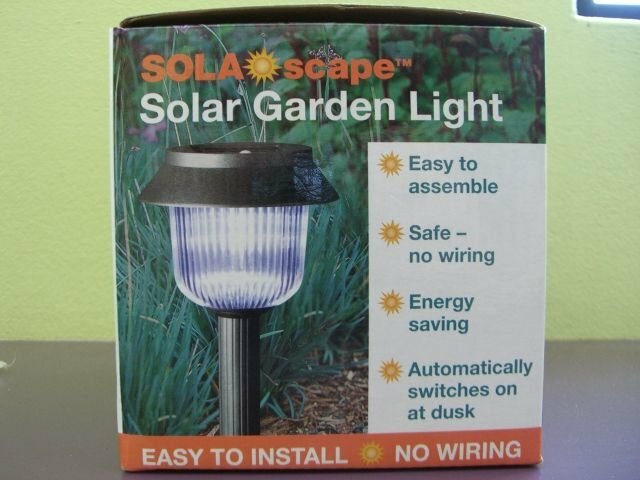 A more electronically-savvy individual can take the more complex route and build a solar lamp from the ground up using small solar panels, a charge controller, an LED driver and lighting module. The aesthetic result may not be as impressive and it’s a lot more work, but you might enjoy the challenge. A DIY solar lamp tutorial at Instructables by cre8tor directs you to rip open a solar yard stake, which is fun enough in its own right. You simply pair it with a $3 jar from IKEA (or whatever you have laying around), some batteries, blu-tack reusable adhesive and glass frosting spray. The end result almost seems to capture pure sunlight during the day and hold it until the sun goes down, producing a warm glow in whatever color you desire. Make a whole rainbow of them if it floats your boat. 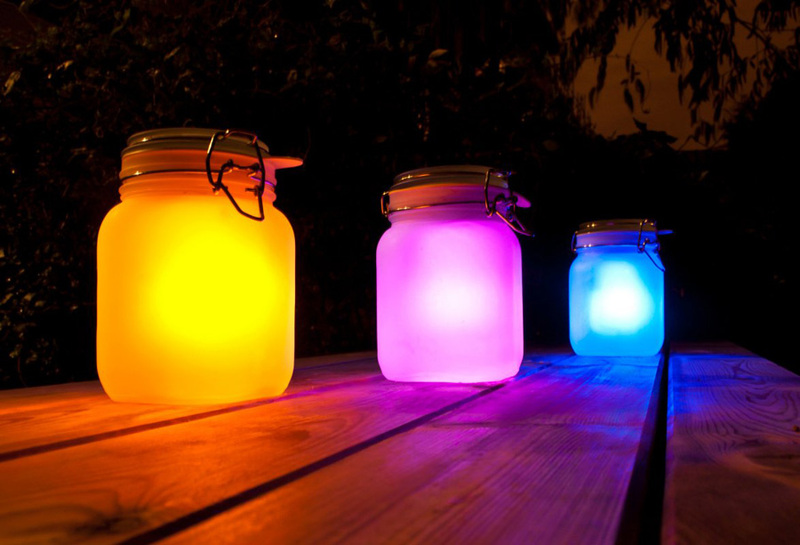 Whatever route you choose to go, these DIY solar lamps are fun and sustainable gadgets that make it easy to go green, automate the process of turning on lights at night and can add some color to your porch, patio, garden or windowsill.